Unisex basketball sleeveless jersey for adults (for men and women). Reversible. Mesh fabric.V-neck and contrasting inlaids. Normal fit. Specially designed for basketball. The Seattle basketball jersey by Erreà will surprise you. You can use this sleeveless jersey both for training and matches, but its peculiar feature is another one: This sleeveless basketball jersey can be worn two ways. With one only jersey you will therefore have to different uniforms available, to wear during home and away matches. In addition should the opponents' team uniform be similar to yours, you will not have any problem: Simply use the shirt and the pants on the other side to start your challenge. 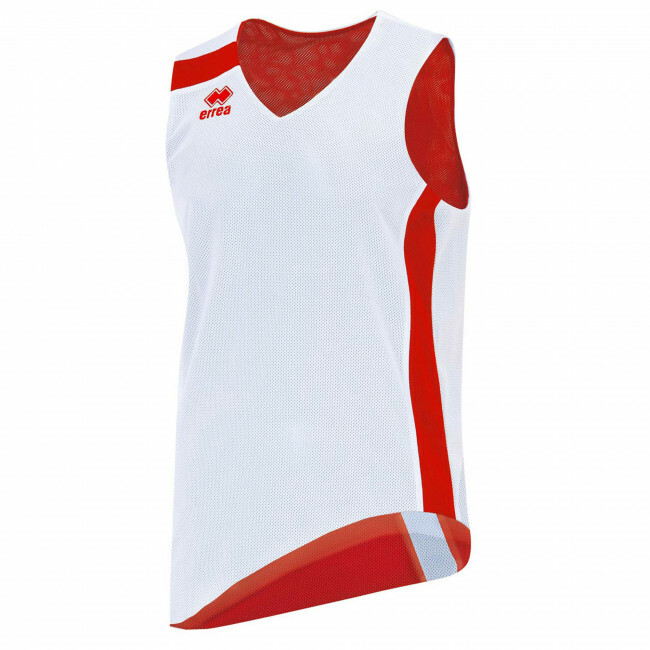 This basketball sleeveless jersey for men is made of an extremely resistant, lightweight and breathable mesh fabric, to provide total comfort and optimal ventilation in the strategic areas.